hey jen renee: where's Nick Jr.? I was bummed and confused to find out the news this week. Nick Jr. is now Noggin, and I have discovered that unless we upgrade our already overpriced cable package, we won't be seeing all of our Nick Jr. tv shows. (Our current expensive-as-hell/still-don't-get-everything-we-want package only includes the basic Nickelodeon channel, not its other networks ... Noggin/now Nick Jr., TeenNick, NickToons.) 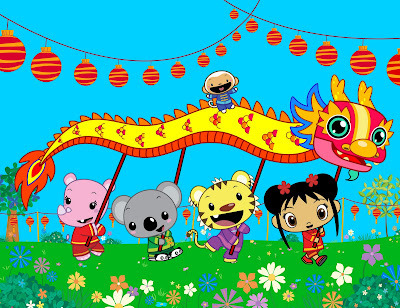 Our favorite 'old' Nick Jr. shows, like Yo Gabba Gabba, Wonder Pets and others are replaced by eight zillion hours of SpongeBob, three hours of Dora and Diego, with a half hour each of Backyardigans and Ni Hao Kai Lan (thank goodness) thrown in. 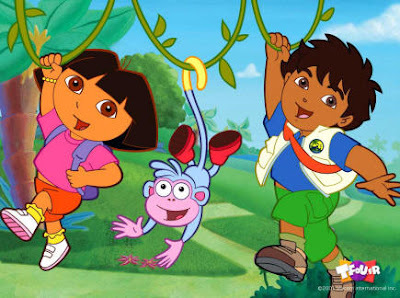 Although I'm all for Dora and Diego teaching us a little Spanish, there is only so much of them that I can take. If you read Dooce, you know that nobody has explained the Dora thing better. Anyway, I'm not arguing that the switch doesn't make sense, because it does. Nickelodeon is re-branding and making a clearer separation of their networks – I understand that TeenNick would do great on its own without the kiddie shows. And I love that Noggin has always had 24 hours of shows for preschoolers, allowing parents like me to flip on an age-appropriate show at any time of the day or night. (I'm just upset that this network isn't offered as part of our extended cable package and that most of our Nick Jr. shows will be gone.) Noggin lovers are a bit upset over the change as well – a lot of kiddos and parents love the Noggin 'goodbye song' and it just won't be the same after the name change. I'd like to make it clear that I don't shove my kid in front of the tv all day, although it may seem like I do from what you've read here. We do normal things. We play outside, go to playdates, read books, do crafts, paint and color, and learn from the activities that we do in our day-to-day life. I also think that part of our 'normal' includes age-appropriate, educational tv shows which provides my two-year-old with exposure to numbers, shapes, colors, the alphabet, and different languages. Obviously, everyone has different feelings about how much is too much but I personally think that none at all would have limited some of the things my child has learned. I really do appreciate the high quality level of children's programming that is available to us, and maybe that's why I was passionate enough to take time to write this. Anyway, I remember being a new mom and wading through the current public television/Nick/Disney shows to weed out our favorites. Here's a run-down of what you'll find if you're a newish mom or grandma, too. Charlie and Lola is pretty much the most adorable show ever. Our whole family is in love with these imaginative siblings (and their lovely British accents.) The whole show is very artistically done with backgrounds full of fabric and texture. They paint a really accurate picture of how your kids see the world and their relationships with each other. Big thumbs up for Charlie and Lola. The music is the best part of the Backyardigans – these little guys sing some pretty amazing numbers to accompany their imaginary adventures. For some reason, we tend to get a little bored with the story lines but the Backyardigans may just be a tad bit over my 2.5 year-old's head. 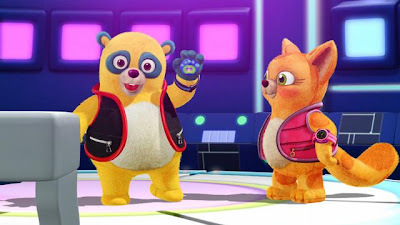 Special Agent Oso is a new favorite. This one is well-written and breaks down everyday challenges with a little song about three special steps. Oso's voice is done by Sean Astin, which makes this one even cuter. Dora and Diego. Pretty much the same show. An annoying thing about is that while I think he's supposed to be animal/nature focused, a lot of the time the animals are mythical or weird made-up creatures that don't make any sense. Both shows have annoying mischievious villain-types (the Bobos and Swiper) with even more annoying catch-phrases. (Awww, man!) Dora's grumpy old troll has caused poor Lo anxiety over crossing bridges. 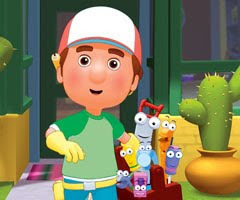 Handy Manny is our numero uno choice for Spanish-speaking cartoons, no contest. Wilmer Valderrama provides the voice to this character, which is a bonus, and the bi-lingual storyline is cute without being bossy or mind-numbingly repetitive like Dora or Diego. 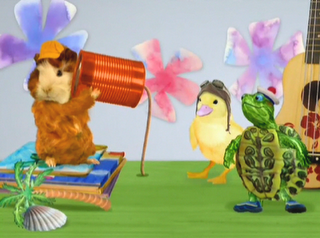 Aside from the duck who can't pronounce her R's correctly, Wonderpets has cute and educational do-good plots with music that isn't too annoying. Except for the 'animal in twouble/this is sewious' thing. You can't go wrong with an old friend. Especially when they replay classic portions of the show, or have guests like Feist or Tilly and the Wall. Ni Hao Kai Lan teaches tons of words in Chinese/Mandarin that our whole family has been able to learn. Lo loves loves loves Kai Lan and the message is always about kindness, helping others and doing the right thing. The newest episode about Kai Lan's trip to China is a definite winner. And you've heard me rave about Yo Gabba Gabba time and time again. It's hands down our favorite, with guests like Jack Black, The Shins, Shiny Toy Guns, Biz Markie, Elijah Wood, The Ting Tings, Mark Mothersbaugh and Tony Hawk. The music is phenomenal. The lessons taught are some of the most basic things that kids struggle with – taking baths, sharing, trying new foods, saying please and thank you, and going to bed. Perfect for toddlers (and their parents, too.) The new episodes from Season 2 that didn't air last year will finally be on Nick Jr. (formerly Noggin) during the week of October 12th. (This is why we need that cable upgrade!) New guests include Andy Samberg, The Roots, MGMT, skateboarder Ray Barbee, Reeve Oliver, Lady Tigra and Little Ones. YGG is currently shooting its third season right now. e.t.a. Update! My awesome husband called the cable company and by signing up for their 12 month contract, we now get the 'digital plus' package and it's $40 less that what we were paying before. That is the craziness that only cell phone and cable companies can provide. Anyway, now we're enjoying all the good stuff we were missing out on ... Mtv 2, Fuse, Fuel, VH1 classic, Style, NickToons, Discovery Kids, Disney XD ... but most importantly, new Nick Jr./old Noggin. And somehow it's cheaper that what we were paying before. Hooray! what no more noggin and cute little moose singing us your noggin?!!!! 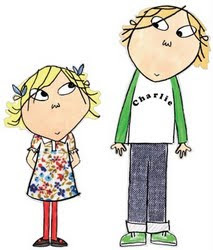 :( I love Charlie and Lola too, that is a pity, we always had it with directv. I hadn't even noticed it because the kids now watch nick jr. more anyway but do remember the days when that channel was always on for them! Wow, I think I could have written the same reviews of the cartoons that you did! We love YGG, Handy Mandy , Oso, kai Lan, etc. We have Directv, and still get all of the nick channels. Maybe that is an option for you. Cable should let you choose what channels you want to order a la carte!! arghhh! Good Luck! I hope lil lo gets to see the new YGGs. I know my lil one is. Oh how I relate! I was watching Noggin the other day when the switch was offically announced and I was like WTH?! Yes I was annoyed by it but they seem to still be singing the songs and have Moose A. Moose in between each show (for now). 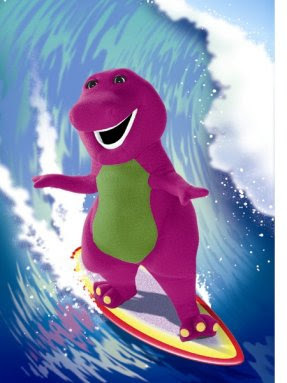 Zane adores all the shows you have listed and NO BARNEY in our house either! We have the digital cable bundle through our cable provider it includes Noggin but if you have regular extended basic cable you don't get it. That was one of the factors for getting digital cable for us...well that and my husband's desire for the speed channel! LOL! 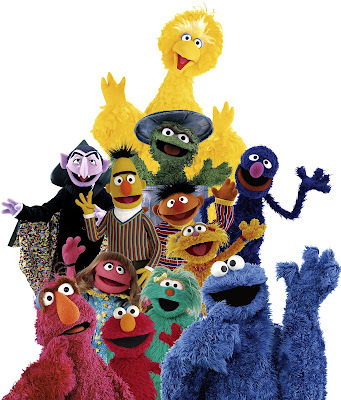 What I love about so many of these shows is that my kids all like them- from age 1 to ten. Granted, my 1 and 10 year old don't watch all that much of them, but they also don't complain when they're on. 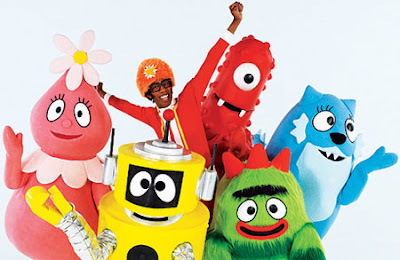 We're BIG FANS of Yo, Gabba Gabba. I'm so glad you got some tv issues worked out! I'll admit and so will my hubby, that too much tv didn't hurt either of us. =) Ha! But seriously, moderation and keeping things in life well-rounded and balanced is the name of the game. Now, if I could just get my kids to eat healthier and help clean up a bit more, I'd be all set! I love wonderpets, their so stinking cute. Hi! I am 30, no kids and I love charlie and lola. I watch it to get pattern ideas. I can imagine your frustration. I meant BIG sister, not bug sister. totally understand about the nick jr/noggin upset. i didn't know what was going on at first. we are not big tv watchers, but ygg is my daughters first l-o-v-e. i hope nick jr. can live up to our beloved noggin. fingers crossed. My daughter loves watching Yo Gabba Gabba on Nickelodeon NOGGIN. She can watch the show when we are on-the-go since we have TV everywhere thanks to DISH Network. As a DISH employee I can tell you that with the Sling box we can stream live TV content onto my iPhone or laptop wherever we are. Go to www.dishnetwork.com for more info.